Nationality: German. Born: Berlin, 21 February, 1942. Education: Universities of Munich and Paris; studied acting in Munich. Family: Married director Volker Schlöndorff. Career: Actress in theatres in Dinkelsbül, Stuttgart, and Frankfurt, 1960s; worked only in TV and film, from 1969; directed first film, Die verlorene Ehre der Katharina Blum , 1975. Awards: Golden Lion, Venice Festival, for Die Bleierne Zeit , 1981. Die Bleierne Zeit , Frankfurt, 1981. Heller Wahn , Frankfurt, 1983. Rosa Luxemburg , with Christiane Ensslin, Frankfurt, 1986.
" Die verlorene Ehre der Katharina Blum ," in Film and Fernsehen (Berlin), no. 8, 1976. "Gespräch zwischen Margarethe von Trotta und Christel Buschmann," in Frauen und Film (Berlin), June 1976. "Frauen haben anderes zu sagen . . . ," an interview with U. Schirmeyer-Klein, in Film und Fernsehen (Berlin), no. 4, 1979. Interview with Sheila Johnston in Stills (London), May/June 1986. Interview with Karen Jaehne and Lenny Rubenstein in Cineaste (New York), vol. 15, no. 4, 1987. "Rebell helt enkelt," an interview with P. Loewe, in Chaplin (Stockholm), vol. 35, no. 6, 1993. "Lernprozesse," an interview with Margret Köhler, in Film-Dienst (Cologne), 3 August 1993. Todd, Janet, editor, Women and Film: Women and Literature , New York, 1988.
" Le Coup de grâce Issue" of Avant-Scène du Cinéma (Paris), 1 February 1977. Elsaesser, Thomas, "Mother Courage and Divided Daughter," in Monthly Film Bulletin (London), July 1983. Dossier on von Trotta, in Revue du Cinéma (Paris), November 1983. Moeller, H.B., "West German Women's Cinema: The Case of Margarethe von Trotta," in Film Criticism (Meadville, Pennsylvania), Winter 1984/85; reprinted Fall-Winter 1986/87. Linville, Susan, and Kent Casper, "The Ambiguity of Margarethe von Trotta's Sheer Madness ," in Film Criticism (Meadville, Pennsylvania), vol. 12, no. 1, 1987. Donough, Martin, "Margarethe von Trotta: Gynemegoguery and the Dilemmas of a Filmmaker," in Literature/Film Quarterly (Salisbury, Maryland), vol. 17, no. 3, 1989. Kauffman, Stanley, "The Long Silence," in New Republic , 30 May 1994. Toiviainen, Sakari, in Filmihullu (Helsinki), no. 5, 1995. 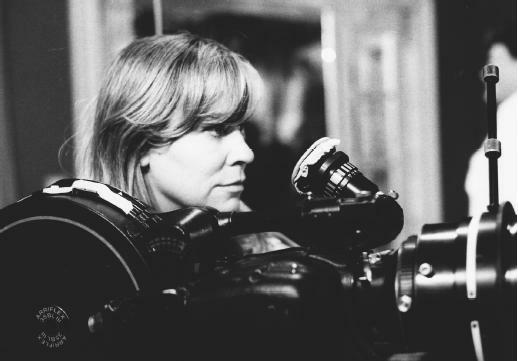 An important aspect of Margarethe von Trotta's filmmaking, which affects not only the content but also the representation of that content, is her emphasis on women and the relationships that can develop between them. For example, von Trotta chose as the central theme in two of her films ( Sisters, or The Balance of Happiness and Marianne and Juliane ) one of the most intense and complex relationships that can exist between two women, that of sisters. Whether von Trotta is dealing with overtly political themes as in The Second Awakening of Christa Klages (based on the true story of a woman who robs a bank in order to subsidize a daycare center) and Marianne and Juliane (based on the experiences of Christine Ensslin and her "terrorist" sister) or with the lives of ordinary women as in Sisters or the Balance of Happiness or Sheer Madness , von Trotta shows the political nature of relationships between women. By paying close attention to these relationships, von Trotta brings into question the social and political systems which either sustain them or do not allow them to exist. Although the essence of von Trotta's films is political and critical of the status quo, their structures are quite conventional. Her films are expensively made and highly subsidized by the film production company Bioskop, which was started by her husband Volker Schlöndorff and Reinhard Hauff, both filmmakers. Von Trotta joined the company when she started making her own films. She did not go through the complicated system of incentives and grants available to independent filmmakers in Germany. Rather, she began working for Schlöndorff as an actress and then as a scriptwriter, and finally on her own as a director and co-owner in the production company which subsidizes their films. Von Trotta has been criticized by some feminists for working too closely within the system and for creating characters and structures which are too conventional to be of any political value. Other critics find that a feminist aesthetic can be found in her choice of themes. For although von Trotta uses conventional women characters, she does not represent them in traditional fashion. Nor does she describe them with stereotyped, sexist clichés; instead, she allows her characters to develop on screen through gestures, glances, and nuances. Great importance is given to the psychological and subconscious delineation of her characters, for von Trotta pays constant attention to dreams, visions, flashbacks, and personal obsessions. In this way, her work can be seen as inspired by the films of Bresson and Bergman, filmmakers who also use the film medium to portray psychological depth. "The unconscious and subconscious behavior of the characters is more important to me than what they do," says von Trotta. For this reason, von Trotta spends a great deal of time with her actors and actresses to be sure that they really understand the emotions and motivations of the characters which they portray. This aspect of her filmmaking caused her to separate her work from that of her husband, Volker Schlöndorff. During their joint direction of The Lost Honor of Katharina Blum , it became apparent that Schlöndorff's manner of directing, which focused on action shots, did not mix with his wife's predilections for exploring the internal motivation of the characters. Her films are often criticized for paying too much attention to the psychological, and thus becoming too personal and inaccessible. Von Trotta has caused much controversy within the feminist movement and outside of it. Nevertheless, her films have won several awards not only in her native Germany but also internationally, drawing large, diverse audiences. Her importance cannot be minimized. Although she employs the commonly used and accepted structures of popular filmmakers, her message is quite different. Her main characters are women and her films treat them in a serious and innovative fashion. Such treatment of women within a traditional form has in the past been undervalued or ignored. Her presentation of women has opened up possibilities for the development of the image of women on screen and contributed to the development of film itself. Von Trotta's films have continued to express other concerns that were central to her earlier work as well. These include examinations of German identity and the impact of recent German history on the present; the view of historical events through the perceptions of the individuals those events affect; the personal risks that individuals take when speaking the truth or exposing the hypocrisy of those in power; and, in particular, the strengths of women and the manner in which they relate to each other and evolve as their own individual selves. Rosa Luxemburg is a highly intelligent, multi-faceted biopic of the idealistic, politically committed, but ill-fated humanist and democratic socialist who had such a high profile on the German political scene near the beginning of the twentieth century. Love and Fear , loosely based on Chekhov's The Three Sisters , is an absorbing (if sometimes overdone) allegory about how life is forever in transition. It focuses on a trio of sisters, each with a different personality. The senior sibling is a scholarly type who is too cognizant of how quickly time goes by; the middle one lives an aimless life, and is ruled by her feelings; the junior in the group is a fervent, optimistic pre-med student. The Long Silence is the story of a judge whose life is in danger because of his prosecution of corrupt government officials. After his murder—an unavoidable occurrence, given the circumstances—his gynecologist wife perseveres in continuing his work. The Promise , which reflects on the downfall of communism and the demise of the Berlin Wall, tells of two lovers who are separated in 1961 during a failed attempt to escape from East to West. With the exception of a brief reunion in Prague in 1968, they are held apart until 1989 and the fall of communism in East Germany.